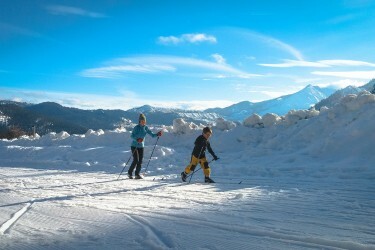 Leavenworth Winter Sports Club maintains 26km of tracks and skating lanes that offer a variety of skiing terrain in four areas around Leavenworth. Each location offers a slightly different experience categorized by skill level. 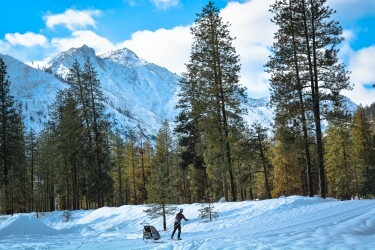 The Icicle River Trails are our beginner friendly location with excellent scenery being tucked away at the mouth of the incredible Icicle Canyon. Nordic lessons take place at this location. Our Golf Course trail network boasts intermediate terrain tucked along the scenic Wenatchee River. Wide sweeping curves lead through open groves of huge pines while surrounded by gorgeous views of the Cascades. 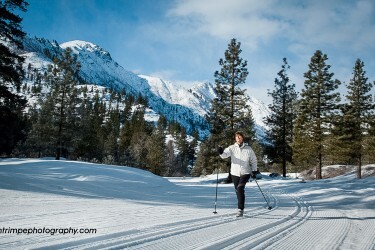 Ski Hill is not only home to our alpine operations but also our more advanced nordic trail system. 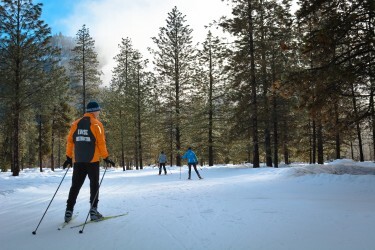 These trails loop through beautiful forests and end back at the historic Ski Hill Lodge. The perfect place for après-ski. 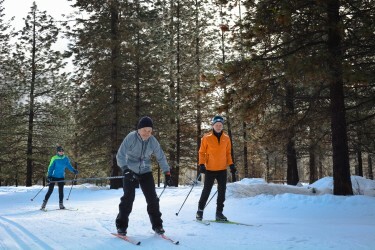 The Leavenworth Winter Sports Club also offers five kilometers of lighted nordic skiing at Ski Hill until 10:00PM every day once open. 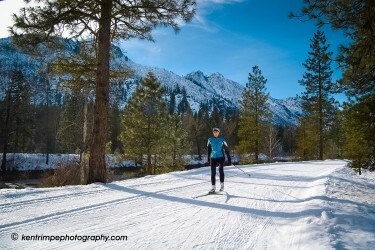 Waterfront Park lies just one block from downtown Leavenworth offering 3km of free nordic skiing. Grooming occurs on weekends starting January 1st. Please do not walk/snowshoe in the classic ski track. This is the only LWSC location that is dog-friendly. *Reminder* LWSC does not offer rental equipment at any location.